One of the Financial Statements of a company that shows the organization's, firm's, or company's revenue and expenses during a participial or specific period. 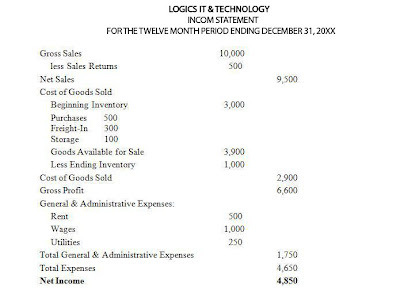 A business financial statement that lists revenues, expenses, and net income throughout a given period. Because of the various methods used to record transactions, the dollar values shown on an income statement often can be misleading. Also called earnings report, earnings statement, operating statement, profit and loss statement.